No matter how many times are advised to form the habit of backing up data regularly so that we can avoid losing those precious family photos, significant documents, etc. of you do not backup files or have already lost files, then you’ll join the throng of people who are looking for ways of file recovery or partition recovery. There are a couple of rules we need to follow, which makes difference to achieve successful data recovery. It is known to many that files that are deleted or formatted from hard drive or other storage devices such as memory card still stay until they are overwritten by new information. 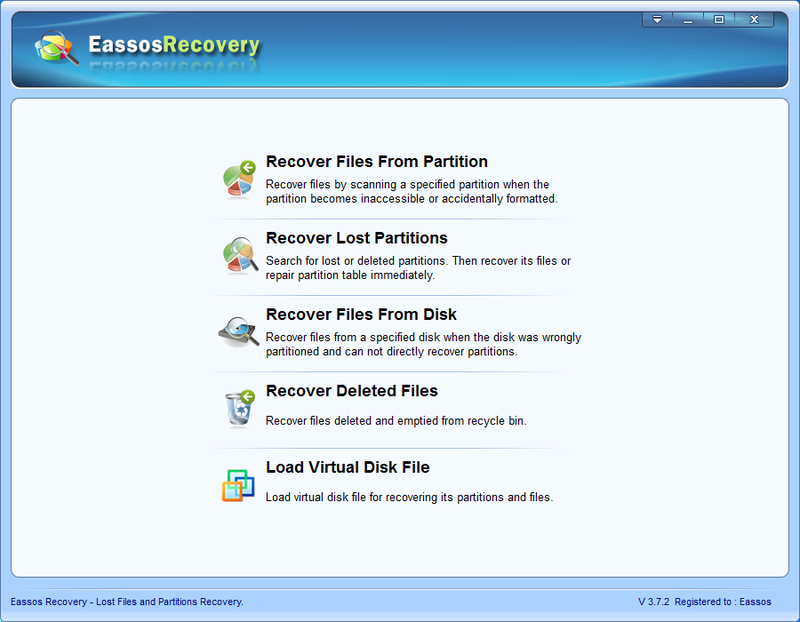 Thus it is necessary to minimize actions to computer, especially when lost files were stored on system partition which installs Windows operating system. System can cause writing actions to disk even without users’ awareness. Don’t store or create new files or folders on the partition and stopping taking new pictures with camera before lost files are successfully retrieved. It is a wise choice to have data recovery software at hand which erases anxiety and panic when data loss happens even if you don’t have backup files. Data recovery program is just as important as anti-virus software that protect computer from virus attack or malware damage. You need to consider adding such a program to your software arsenal in order to safeguard data in a better way. Data recovery software is specially developed to get back lost data or information from corrupted hard drive, USB drives, memory cards, virtual disk and so on. It is advisable to choose the software which is well compatible with various file system, operating system and storage devices. 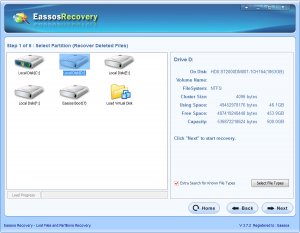 Also, it should have the ability to deal with common data loss problem as well as advanced data recovery situations, such as virtual disk recovery. 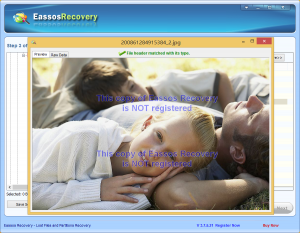 Eassos Recovery is a well-received program which has a good trust rating from millions of users all over the world. 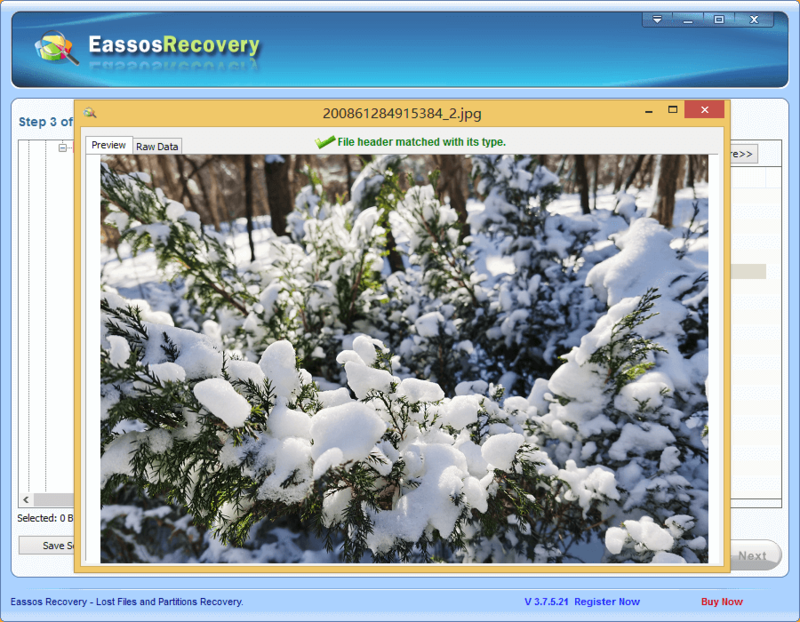 It can be tried for free before purchasing so that users can know how many files can be recovered. Apart from features mentioned above, it is much easier to use than other program. Its wizard interface enables you to become a data recovery experts via several steps. 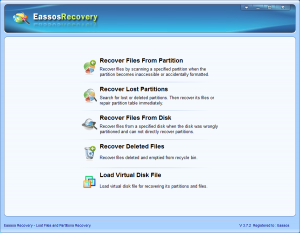 How to recover lost files with Eassos recovery? 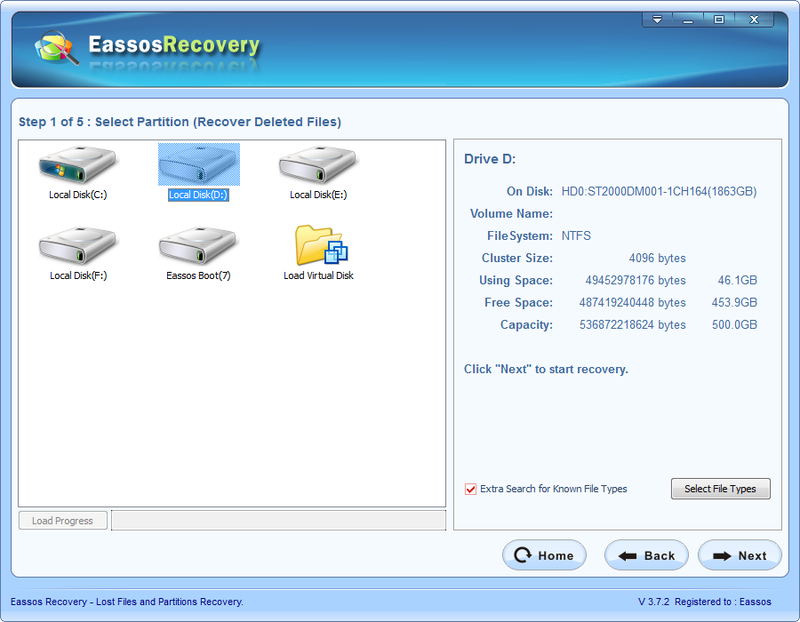 This entry was posted in Data Recovery and tagged data recovery software, recover lost data by EASSOS. Bookmark the permalink.